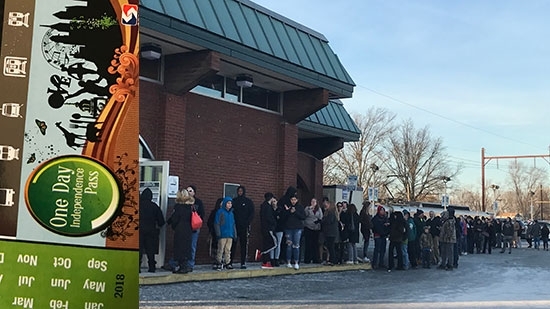 SEPTA has announced that as of 1 p.m. Wednesday afternoon they have SOLD OUT of all 50,000 special Independence Passes for travel on Regional Rail to and from the Eagles' Super Bowl parade on Thursday. Fans lined up at stations as early as 3 - 4 a.m. to purchase a pass. Weekly and Monthly transpasses as well as prepaid senior/reduced fares will also be accepted. No other passes will be accepted for travel on Regional Rail on Thursday. All trains will head into the city on Thursday morning and head back out in the afternoon/evening. Check out SEPTA's Eagles schedule for stations and train times. If you have a pass, you aren't guaranteed a spot on a train, if the system is at capacity. The pass will be good for 180 days. Make sure you have a contingency plan to travel. 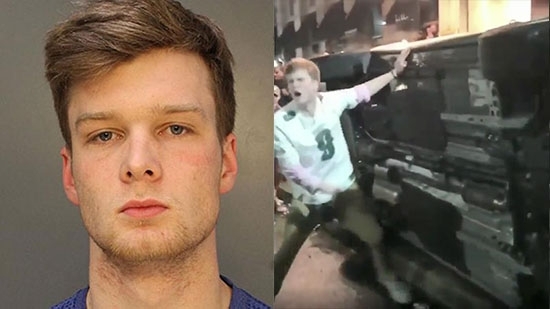 Philadelphia Police have identified and arrested 20-year-old John Rigsby of Malvern, PA, as one of 8 individuals who flipped an SUV on its side during celebrations in Center City following the Eagles' Super Bowl victory on Sunday night. Rigsby is the son of longtime Villanova University basketball broadcaster and former player Whitey Rigsby. The incident was captured on video. It happened around 11 p.m. on the 1400 block of Walnut Street. The group of individuals grabbed ahold of the 2017 Nissan Rogue SUV outside the Hyatt at The Bellvue and turned it on its side. Rigsby can be seen on the video pounding on his chest and yelling. He was arrested on Tuesday and charged with riot with intent to commit a felony, conspiracy, and criminal mischief. It is not known if others in the video have been identified yet. Seven others have been arrested for a variety of other crimes committed at the celebrations. Police continue to go over video and answer tips.